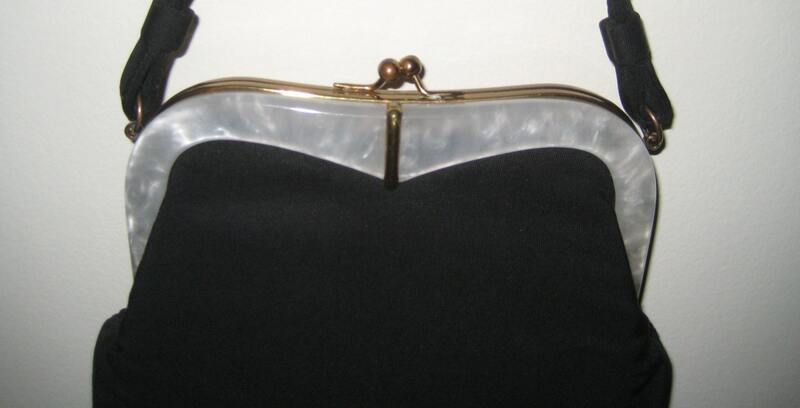 Dynamic and beautiful black silk fabric bag with marble-looking white Bakolite trim. 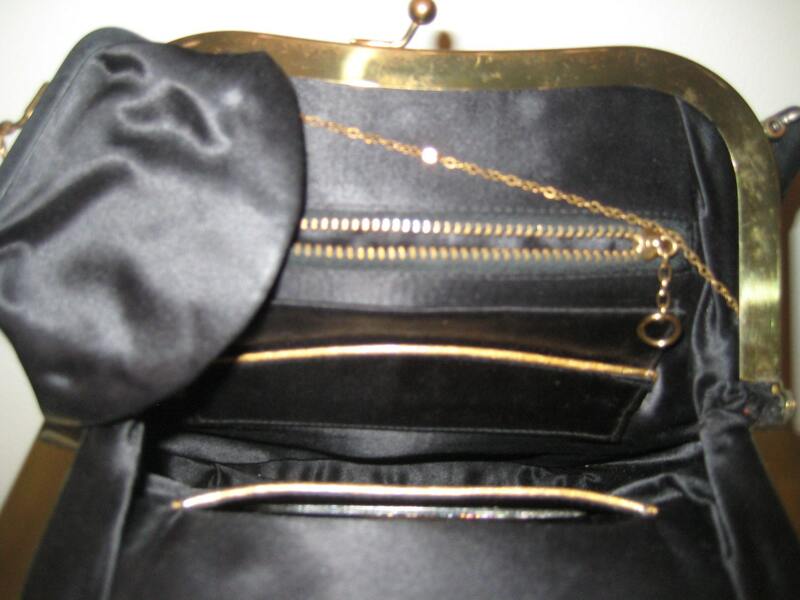 Gold tone metal frame with kiss lock closure. Matching black velvet handle with a 6 inch drop. The interior is of black satin. Gorgeous condition! 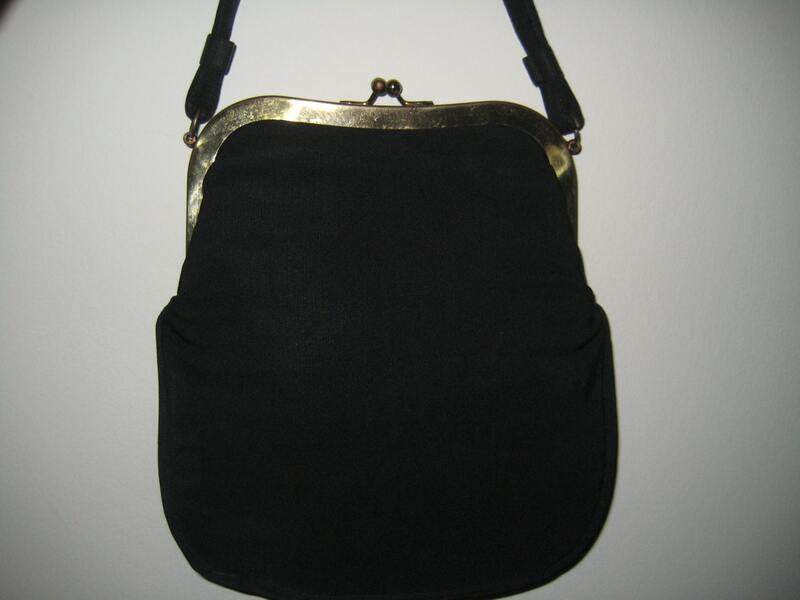 Includes two patch pockets with gold edging and one metal zippered pocket. 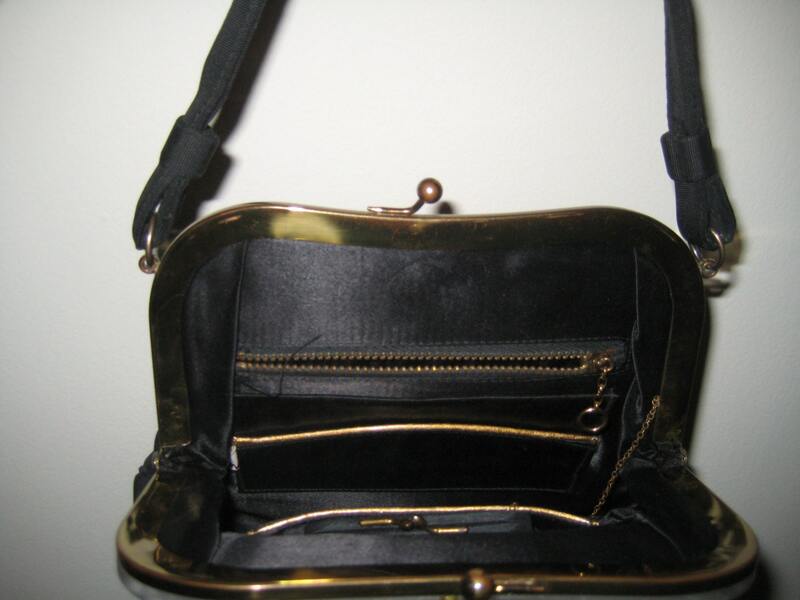 Includes a classic black change purse attached by slender metal chain. Small clear comb also included but may not be original. Cloth Garay label inside. Dimensions: 8 inches tall x 6 inches wide. Bottom has a 2 inch width.